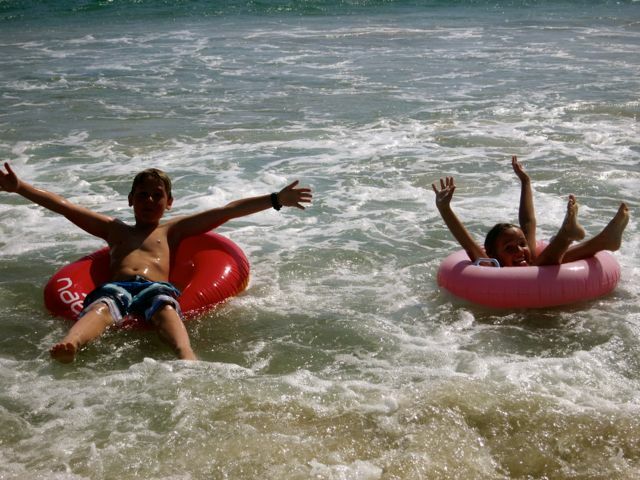 @FamilyInSpain … Having Fun on The Sun! If you’re planning a family holiday with kids in Tenerife, in the Canary Islands, don’t miss our “want to do” Top Three Fun, Kids Adventure Activities in Tenerife. We’ve researched the incredible amount of activities and day trips available on the island. We’ve consulted with friends. Described as the best water park they have been to, by friends, Siam Water park was also voted as the number one attraction in Tenerife in 2015, by Tripadvisor. The number of adrenalin rides is what makes this water park an essential addition to our Family in Spain Top Three List. Kinnarree: A 213 metre tunnel slide ending in a tornado wave. Mekong Rapids: Hurtle down the water slide on an inflatable boat. Room for all the family! Dragon: A slide with a totally vertical drop. Yikes! Tower of power: A 28 metre high water slide meaning you can reach speeds as fast as 80km/h. At the end of the ride you pass through a huge aquarium full of sharks and rays. Singha: 240 meters long! 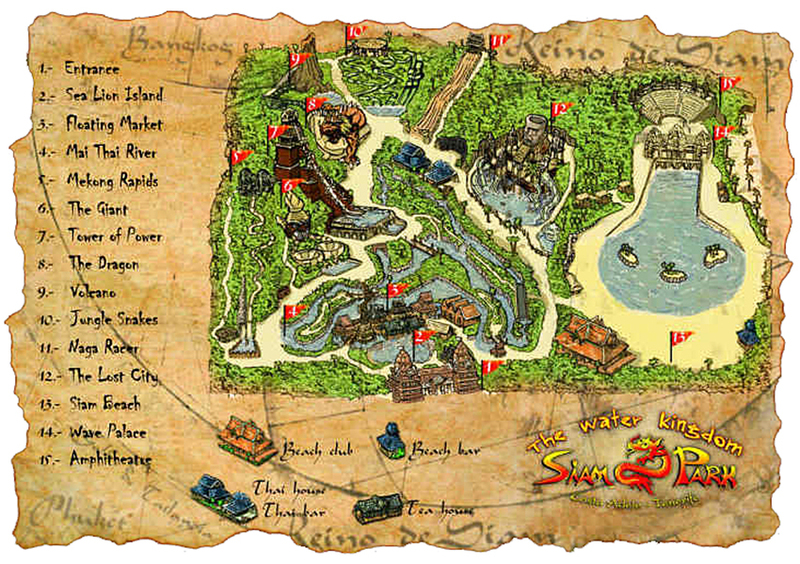 The newest at Siam Park! A water roller-coaster with high-speed curves and 14 direction changes which guarantees a real injection of adrenalin and fun. 6 meters per second ascending and 18 meters per second falling. This speed hasn´t ever been seen in a water park before! Forestal Park is Tenerife’s Largest Zipline Thrill Park. 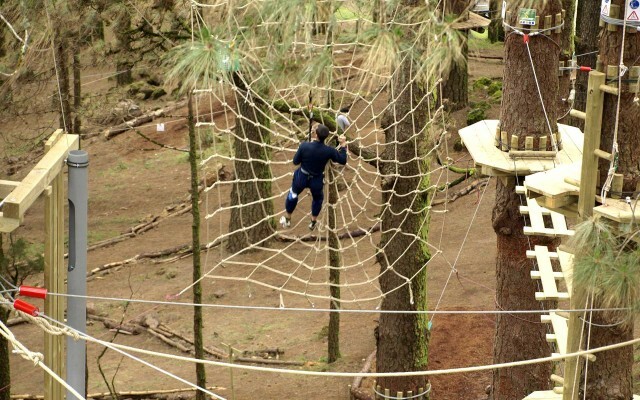 Voted as one of the top things to do in Tenerife, Forestal park gives you the chance to climb up the walls and rope ladders, enjoy high rope obstacles in the treetops, leap off Tarzan Swings and fly down giant ziplines, at the gates of Teide National Park. Our little monkeys love to fly through the trees … It will be interesting to see how it compares to our regular treetop park, Entre Ramas in Cadiz. 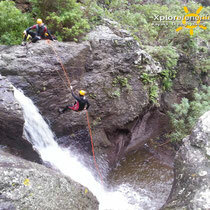 Xplore Tenerife are a small locally owned nature-based outdoor activity company. They promote the observation and appreciation of nature and traditional cultures in natural areas. As they offer exclusive and specialized, small group tours that minimizes the negative impacts upon the natural and socio-cultural environment, we feel that we would maximise our enjoyment of the new areas we discover. Having set up and managed our own snorkelling business in Fuerteventura, we know what marvels the underwater world in the Canary Islands has to offer. The calm waters of the south of Tenerife provide excellent conditions for a great snorkeling experience. 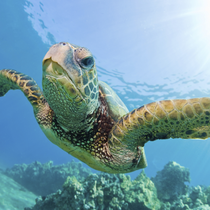 There are a couple of bays that are inhabited by the turtles, so there is a chance to swim up close with these beautiful animals. Swimming with them in their natural habitat is a wonderful experience. Joshua has recently returned from an activity adventure holiday, with his school. Canyoning is now one of his favourite new activities. Canyoning is a great way to get into the more inaccessible but beautiful places that form part of Tenerife’s stunning landscape. A canyon is a natural water park, carved into stone and located in the wilderness. Anyone who loves sliding, jumping and playing in water, exploring, abseiling and technical problem solving will love canyoning. What a great way to discover and explore new places! 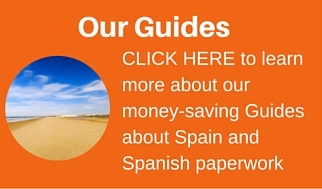 So there you have our Family in Spain “want to do” Top Three Fun, Adventure Activities in Tenerife. We must also add that we are researching the best Jeep Safari as a fun way to visit some of the popular tourist hotspots.